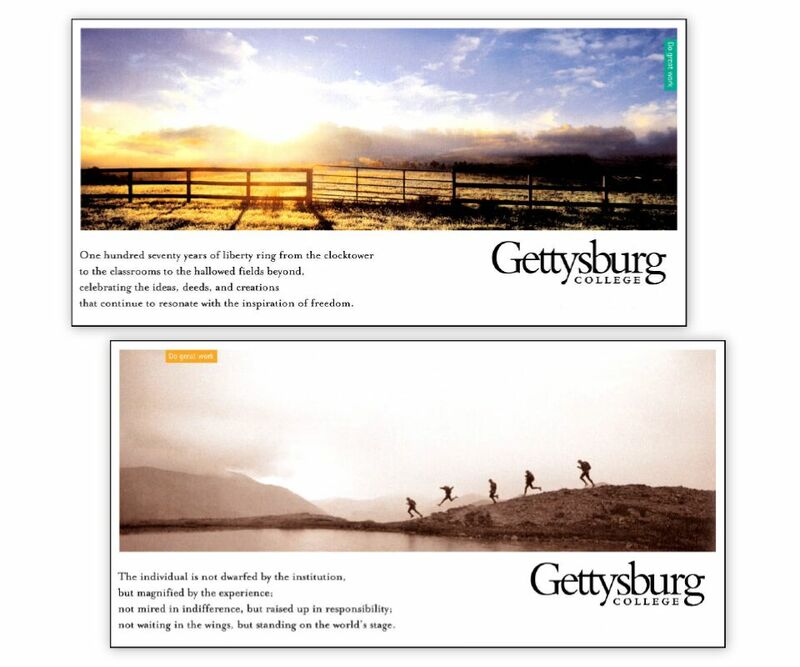 Gettysburg College | Cognitive Marketing Inc. 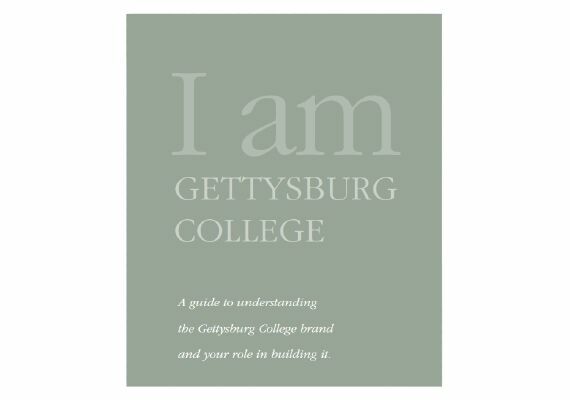 Develop a long-term, sustainable, and distinguishing brand identity for Gettysburg, that would accelerate the College’s ascent from a well-regarded college to a leader among peers and, in the process, strengthen enrollment metrics and alumni support. In other words, to help the College find its “voice.” When we began our professional relationship with Gettysburg College in the early 2000s, the idea of thinking of the College as a “brand” was more than a little distasteful to the faculty; thus another goal of ours was to win at least the begrudging respect of the faculty for the work we would produce. We succeeded. Being a liberal arts college that didn’t want to be unduly associated with war or attract only history majors, the College had chosen to largely ignore the accident of history that brought all of American history roaring through the campus on July 1, 1832. We needed the College to come to embrace the idea that “Gettysburg” College owed it to the world to be a voice of reason, understanding and perspective, not just about events that have made Gettysburg the most famous small town in the world, but also of the broader American experience. We felt strongly that this was virtually an obligation of Gettysburg College. The question was: how to affect this change in perspective at the College? Our in-depth review of the College’s history revealed that the entire student body of 1863 had walked with Lincoln to Cemetery Hill to hear the President deliver his entreaty to take on the unfinished work. They were the only college students in the nation to have this message delivered to them personally. When the College approved the new brand language in 2003, they also approved a recommendation we had made that has become a beloved tradition of the College. Every year since 2004, during orientation, the College’s first-year class assembles at Pennsylvania Hall. The State Police temporarily close Business Rt. 15 and Rt. 30 (the old Lincoln Highway) and 700+ incoming college students walk together through the streets of their new home to Cemetery Hill, where an honored speaker, selected by the Senior Class, delivers from the College podium, standing where Lincoln stood, a private reading of the Gettysburg Address.The Mayor of Gettysburg gives the ceremonial “keys to the town” to two class representatives, and the President of the College invites the students to reflect on the “hallowed ground” upon which they will spend the next four years of their lives. The College’s Brand Signature, adopted in 2004, is still the signature expression of the school 15 years and multiple presidents later. Today, it is deeply embedded in the school’s culture. It reads, simply: Do great work.